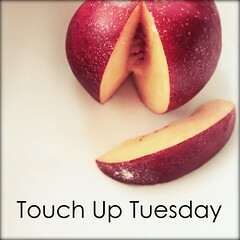 It's Touch-up Tuesday time again! 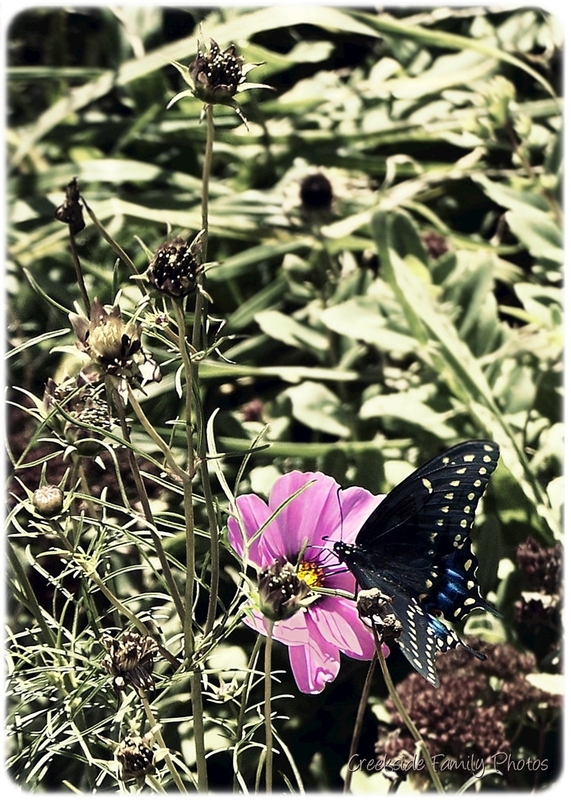 It was a cool butterfly, and I had to snap quickly!! First, I cropped the image. Then, I converted a copy to sepia tones. In PhotoStudio I pasted the sepia version over the colour version, reduced opacity to 70%, and erased the sepia over the pink flower and the butterfly. Sharpened, rounded the corners, and added a little pink touch to the whited-out petals on the flower. I also blurred the background a little more. I like the way it turned out. :) What do you think? This might be my all-time fave that you have done. Really exceptional job! The cropping alone is brilliant; really allows you to focus on the butterfly, and the whole sepia toning...phenomenal! I'm impressed! Looks awesome! :-) (I've never tried sepia over a color image and then reducing opacity. I'll have to try that). Beautiful! That last one is fantastic. Great crop. I love reducing opacity with black and white or sepia overlays. It's always so nice! I reeeeeally love the final edit! Oh wow - that looks really great. I love your final edit.